SHEFFORD! 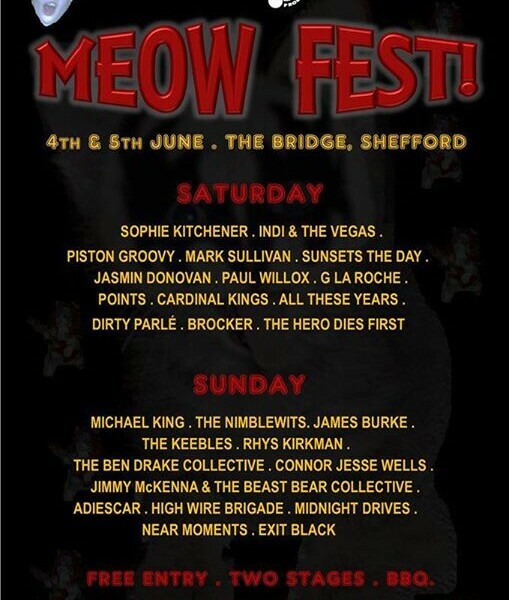 We’re playing MEOW FEST! next Saturday 4th of June! It’s been organized by the awesome actress/musician, Jade Green, who plays the main role on our latest single/video “Gimme Gimme Rock N Roll”. Free entry, two stages, BBQ and all for a good cause – Dr Hadwen Trust (UK’s leading non-animal medical research charity). Pogo Pogo!